The Future is Tiny and It’s HUGE! The day after news declaring that an agreement has been reached at the climate talks at Durban, a forwarded link to the video embedded below titled: The Future of Nano-Electric Power Generation arrived in Dr Quantum’s in-box . The Future is Tiny and It’s HUGE! Overall this is encouraging from a number of points of view. Firstly it’s encouraging that we are reaching some kind of global agreement on carbon emissions, despite it not being perfect; despite the rantings of the lost loonie tribes (one-world government conspiracy theorists) and in spite of the fact that burning fossil fuels is now more or less a Victorian era hallucination. The very least you can say is that the road to clean energy is certainly not a boring one! Hoo boy. If you watch the really excellent vid you will see that The Future is Tiny and It’s HUGE! 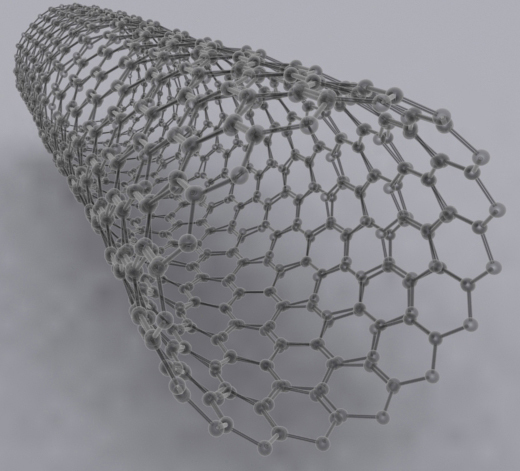 – one of the innovative technologies that is apparently going to be part of the new transformative global dynamic is carbon-nanotubes. As the man says they are like tubes of rolled chicken wire only each one is 10,000th the width of a human hair. Now get this . . .you can create a transparent film out of this stuff that can be part of a solution set of technology where whole building surfaces become solar panel power generators. It’s clean green, futuristic, high tech wizardry and it’s here NOW. This guy – Justin Hall-Tipping – has a company set up Nanoholdings to take these classes of products to market. Now just imagine . . .there are thousands, nay tens of thousands of innovative and clever peeps much like Justin Hall-Tipping and Co who are right now . . .busy creating the future. Let’s cheer them on. Boo to pollution and boo to more carbon emissions. YES to capturing carbon and YES to clean green smart technology. YES to business people like Justin Hall-Tipping who care about people and the future of the planet. The Future is Tiny and It’s HUGE!